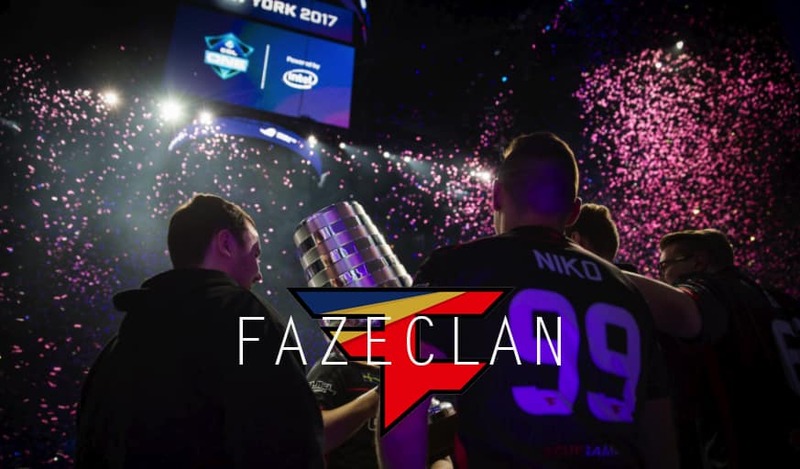 FaZe Clan made their debut in Counter-Strike: Global Offensive in 2016. The team was known as the most prestigious Call of Duty eSports team and as YouTube famous. FaZe was initially plagued with bad results and roster changes. Finally, the eSports dream team is here. Five of the best players in the game joined up to form the ultimate team. Just like Master Mazuma is the ultimate eSports betting site. Longest lasting member of FaZe is rain. His team G2 was bought by FaZe for $700.000. rain is the entry-fragger of the team, which means he plays aggressively and goes in first. He often gets the most kills but also the most deaths. Olofmeister was player of the year in 2015. He gained notoriety for boosting (jumping on a teammate’s back) in tournaments to get to unfair spots on the map. Regardless of the scandal, Olofmeister remains a top 10 player in the world. His role as lurker means he tries to flank and surprise enemies. NiKo is one of the faster rising stars of the game. He was the number 11 player of 2016 and has only gotten better. FaZe bought NiKo from Mousesports for over $500.000, the biggest transfer in CS:GO history. NiKo is one of the best in the world with assault rifles and sniper rifles. GuardiaN played Counter-Strike professionally since 2009. His highest ranking came in 2015, when he was the second best player in the world after Olofmeister. GuardiaN is known for his skill with the AWP sniper rifle. Team leader karrigan brings discipline in the team. He often sacrifices his own life and weapons for the team. Without karrigan, FaZe would be four superstars each trying to play 1 versus 5. karrigan makes sure everyone sticks to the gameplan. FaZe Clan finally has its CS:GO dream team. Master Mazuma predicts that the team will end SK Gaming’s reign and dominate 2018. Make sure to follow eSports and make money on mastermazuma.com.